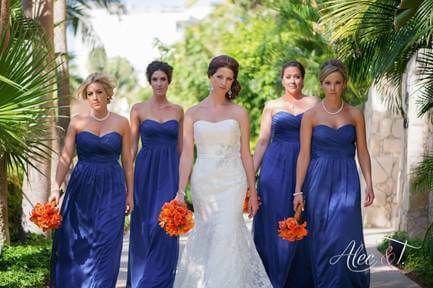 What’s the most important factor when choosing a hair and make-up professional for your destination wedding? 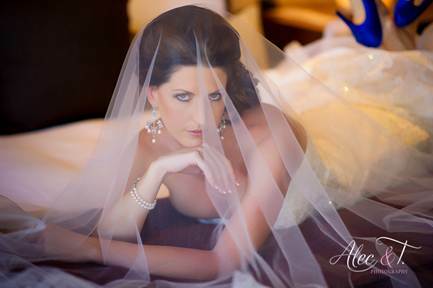 Some brides choose based on pricing, others decide by looking at photos of the stylist’s work. Still, other brides value communication and professionalism from the salon as equally important. Bride Joanna knew exactly the look she wanted for herself and her bridal party this past November for her Sunset Da Mona Lisa wedding. Based on her glowing review, we think Joanna would agree that the best bridal salon professionals are those who can handle all aspects of the big day—the emails and phone calls during planning, being punctual and efficient on the day of the event, communicating with the other vendors, and of course, a flawless look at the end of it all! 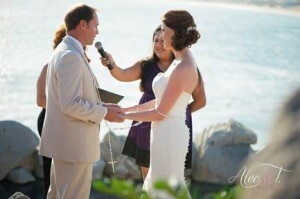 This entry was posted in Cabo Bridal Hair and Makeup and tagged Bridal Hair, Bridal Makeup, Cabo wedding hair and makeup, Cabo wedding professional, Hacienda Cocina & Cantina, Hacienda Cocina & Cantina wedding, Sunset da Mona Lisa, Sunset da Mona Lisa wedding, Suzanne Morel, Suzanne Morel Face & Body Care, wedding hair, wedding makeup.